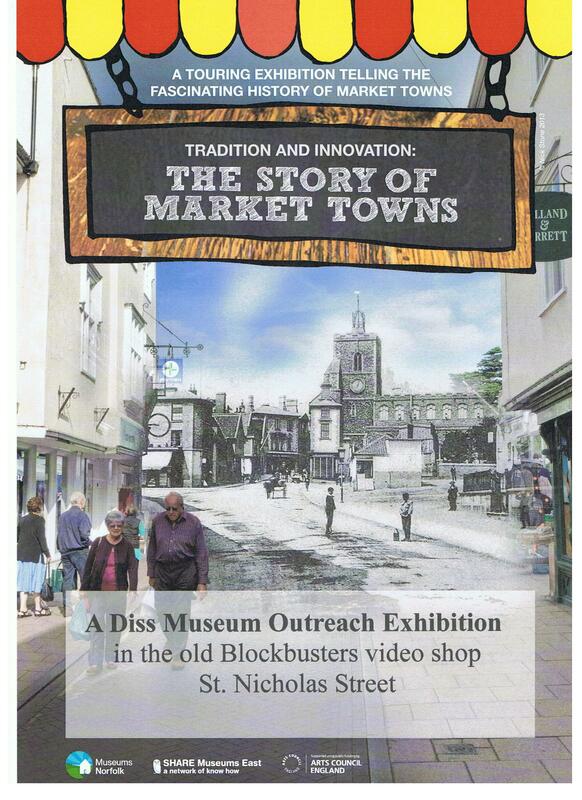 When Diss Museum was offered a travelling exhibition on the History of Market towns there was a problem of space. The Shambles building was already full of World War One, Airship, Burston Strike Centenary and other items for the new season. Then manager Basil Abbott had the idea of putting the exhibition in the window of one of the empty shops. The old Blockbuster video shop in St. Nicholas Street, with two large windows, seemed ideal. So Mr. Abbott contacted landlord Mr. Len Ramsbotham, who readily agreed to having the exhibition there. The project is an initiative by Museums Norfolk, SHARE and the Arts Council.